Please send your abstract (no more than 250 words), brief bio, and contact information to Jason Ellis (jellis at citytech.cuny.edu) by Oct. 31, 2018. Neuromancer for Commodore 64/128. Item in City Tech’s Retrocomputing Archive. Recently, I posted about the new OpenLab site that I launched for “Retrocomputing at City Tech.” On the site, I included a photographic inventory of the computing hardware and peripherals that I have on-hand in my office in Namm 520. Now, I’ve added to the site with a second page that inventories a majority of the software that is in the vintage computing archive. The software archive includes games (like Neuromancer pictured above, Star Wars X-Wing and TIE Fighter, and Star Trek 25th Anniversary), productivity software (such as Microsoft Office 2004), encyclopedias (Comptons, Groliers, and Microsoft Encarta), and operating systems (Windows 95, Macintosh System 7.5, Mac OS X 10.0-10.3 and 10.5). Follow the link above to see all of the software on its original media followed by textual descriptions. Over the past three days, I worked with my City Tech colleagues–Laura Westengard, Lavelle Porter, and Lucas Kwong–and student–Jessica Roman–to inventory the City Tech Science Fiction Collection. Two years ago, I began the collection’s finding aid by cataloging the 4,000+ magazines. Last year, I inventoried the collection’s nearly 1,700 monographs and anthologies. This year, we are creating an inventory of the remaining parts of the collection: scholarly journals and novels. Read details of our progress on the Science Fiction at City Tech OpenLab site here. In addition to working on a book review today, I created a new OpenLab site for Retrocomputing at City Tech. In addition to recording how I use vintage computers in the classroom and in research, the new OpenLab site contains a catalog of my vintage computing archive. I populated this catalog with most of the hardware, but I plan to granulize it further and create a catalog of my software. This, of course, will take time. At least there is a place for me to record these things now within the auspices of the work that I do at City Tech. I updated my previous Retrocomputing Lab page on this site with a link to the updated site on OpenLab. Special Issue Co-Editors Jason W. Ellis and Sean Scanlan are pleased to announce the publication of NANO: New American Notes Online issue 12 on Star Wars: The Force Awakens: Narrative, Characters, Media, and Event. Focusing on the transmedia aspects of the continuation of the Star Wars film saga following Lucasfilm’s acquisition by Disney, this issue’s contributors explore how transmedia storytelling is leveraged in different aspects of fanfiction, promoting ideologies of global capitalism, and reconfigures Joseph Campbell’s hero myth. Also, we are honored to present an interview with Cass R. Sunstein, author of The World According to Star Wars. Now that The Last Jedi is in theaters, there is much more to be said on the issues these contributors debate. Follow the link below to read the current issue. NANO: New American Notes Online is an interdisciplinary academic journal. Our goal is to invigorate humanities discourse by publishing brief peer-reviewed reports with a fast turnaround enabled by digital technologies. Visit https://nanocrit.com/Submissions for details and instructions for submitting your writing. With nearly 100 registered attendees and more unregistered, the 2nd Annual City Tech Science Fiction Symposium on Extrapolation, Interdisciplinarity, and Learning on Wednesday, December 6, 2017 was a great success! 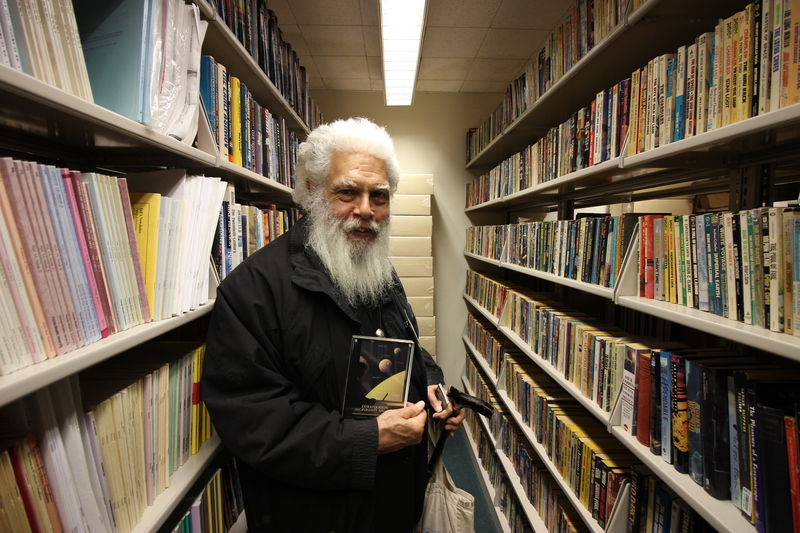 We were honored to have Samuel R. Delany give the event’s keynote address, and we had excellent presentations and panel discussions from scholars, graduate students, and undergraduates! Below, I’m embedding video of all of the presentations from the symposium. Visit this site for a copy of the program. With only a few LEGO and Duplo bricks, I was able to capture the glass structure, upper floors overhang, and intersecting curve of the auditorium. Eventually, we incorporated this model into the Serious Change Through Play branding logo. While I like this smaller model, I wanted to build one that was larger and captured more detail without breaking the bank. Next, I began the fun part of the build, which I like to think about as similar to the writing process–brainstorm, draft, and revise. While I had my elevations to work from, I thought of specific ways to put the bricks together that represented the building better and served to make a stronger model. For example, using overlapping joints and interlocking corners in the upper stories look good and make the model sturdier. Photo by William Avery Hudson. Using the microscale of my model, I wanted to capture the color scheme and figures despite the extremely low resolution of the medium at this scale. Nevertheless, I figured that I could convey that there are six human figures and a color scheme of white, silver, and blue. Therefore, I built this model of the mosaic–perhaps the preserved mosaic will have a home in the new building?